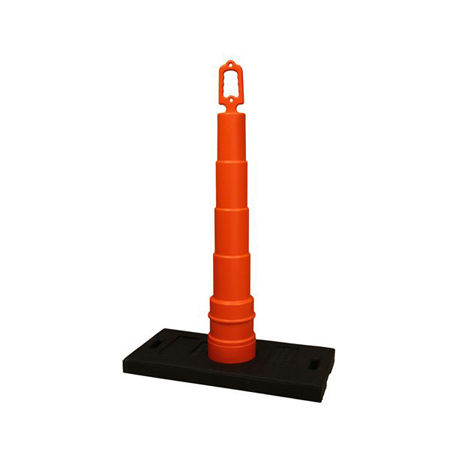 Stackable with or without bases Easy-grip handle. Two mounting holes for warning lights or signs . Tabs around base of Perimeter Defender™ for “Positive Lockup” with base . Available with reflective sheeting of all styles and widths 100% recycled rubber base - 30 lb rectangle shape. The quality you have come to expect from Lakeside Plastics.